Hey, has anyone had the chance to see Prometheus, Ridley Scott’s latest addition to the Alien movies? It’s been out for a few days now, and my curiosity has been piqued by very mixed reviews . Some people are raving about the deep mythical themes on the origins of man, while other are totally underwhelmed by poor scripting or wooden characterisation. We don’t know exactly what to make of it, and have tried not to read too many spoilers, but suspect there is an intriguing story in there waiting to burst out. Alex Jones has already stuck his oar in to tell us it’s full of New Age propaganda. Not sure whether we’ll agree with him yet, but lets bring on the controversy. Judging by the teaser pictures already on the web it will be a visual treat. It has an interesting cast who should add some spice to the mix. So we’ll have to see how it all hangs together. Anyway, the prospect of a new direction for the Alien franchise is one that excites us. 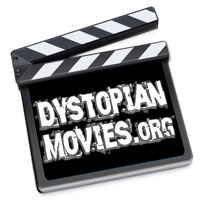 So, here at Dystopian Movie Towers we’re planning to get down to the local cinema and check it out as soon as possible. We’ll let you know what we think, and post an update here. No words will be minced. Here’s a pretty picture of a spiffy looking craft surfing the clouds to keep you happy in the meantime. Sheila Raynor as Mum in A Clockwork Orange: "But you've not been to school all week, son." Patrick Magee as Frank Alexander in A Clockwork Orange: "Recruiting brutal young roughs into the police, proposing debilitating and will-sapping techniques of conditioning. Oh, we've seen it all before in other countries. The thin end of the wedge. Before we know where we are, we shall have the full apparatus of totalitarianism."